Ancient Egypt History for Kids - Look! We're Learning! 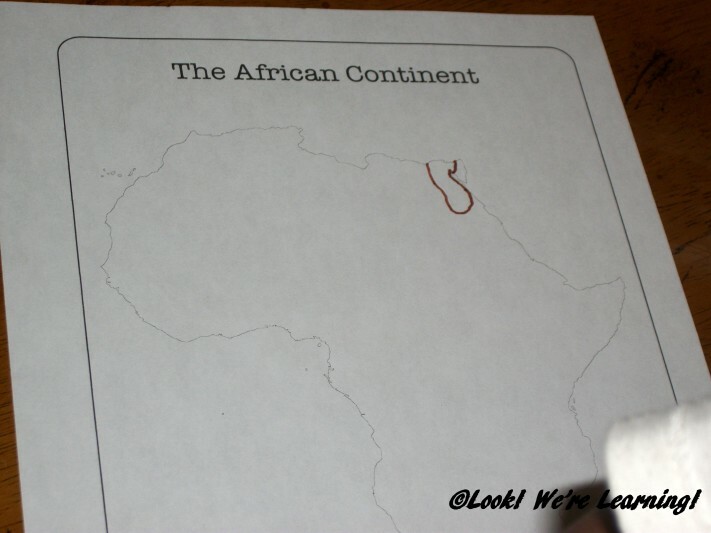 Studying African history has always been important in our family. 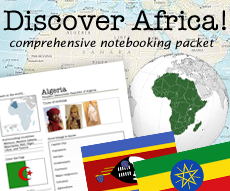 Over the years, many schoolbooks have omitted or glossed over ancient African kingdoms and we wanted to make sure that our children learn the truth about these civilizations, no matter what. To start, we focused on the Ancient Egyptian civilization, which is world-famous as a kingdom that prized mathematics, law, agriculture, and writing – among other things. 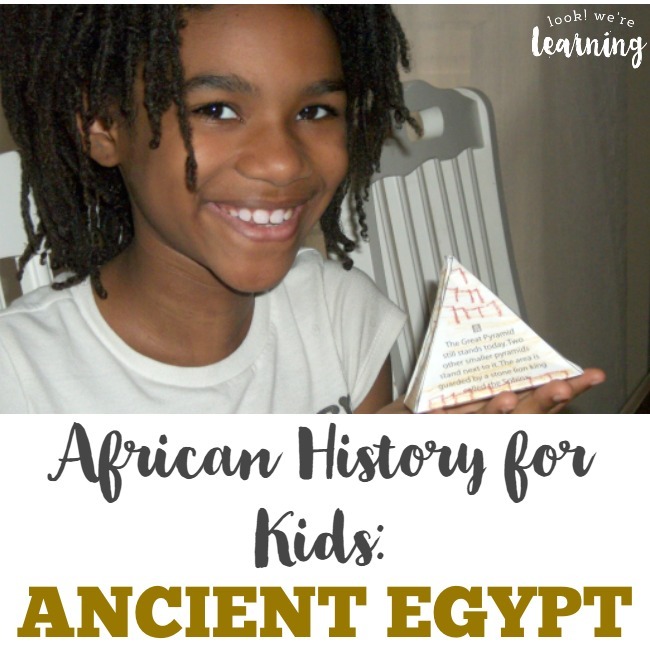 But many school lessons have presented a view of Ancient Egypt that is at odds with what historians have discovered, including what the Egyptians looked like, what they accomplished, and who ruled the kingdom over the years. 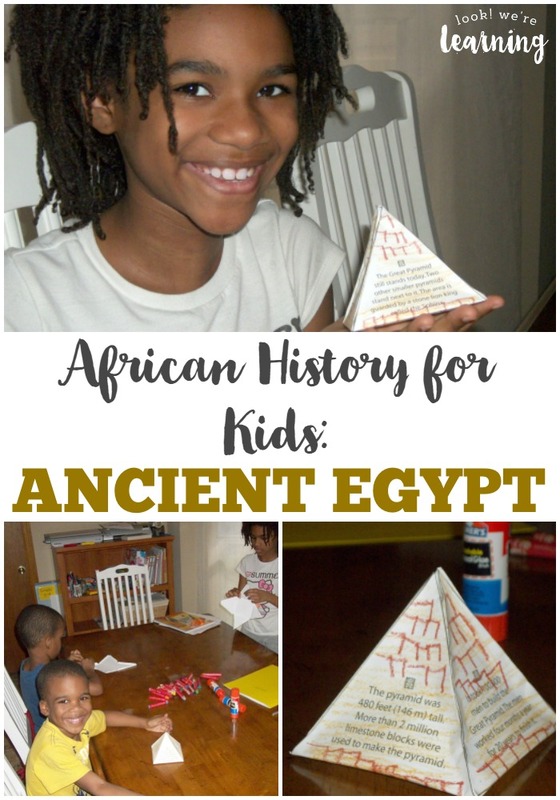 So we put together our own lesson about Ancient Egypt history for kids! 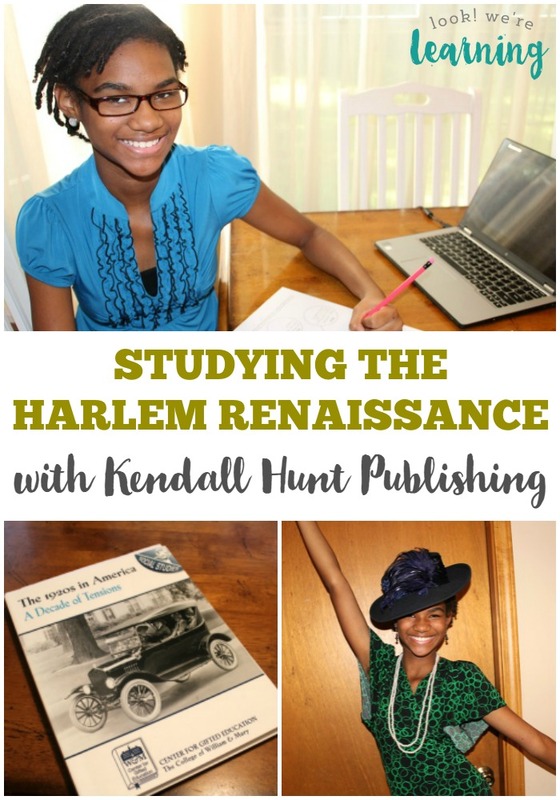 Read on to learn more about this fascinating and accomplished civilization that you can share with your children! 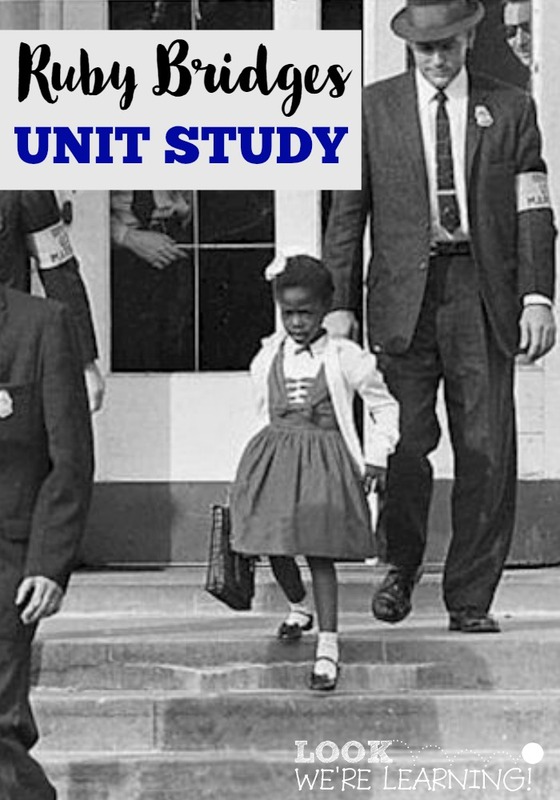 If you love this unit, be sure to check out our list of must-read black history books for kids! 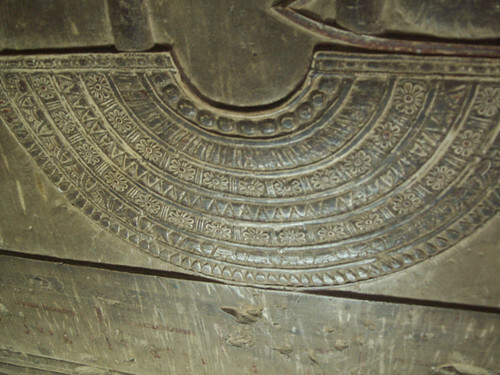 Egypt is probably the best known ancient African kingdom. The main reason for this is that there are so many archaeological sites that testify to what life was like in Ancient Egypt. We looked at some images of Egyptian ruins to get an idea of the extraordinary accomplishments made in architecture, design, and mathematics by Egyptians. We looked particularly at the Great Pyramid of Khufu and the Abu Simbel temples. The Great Pyramid, for example, took over 20 years to complete. Its design is so mathematically precise that historians still cannot understand how the Egyptians built it. They even doubt that the same structure could be reproduced today. 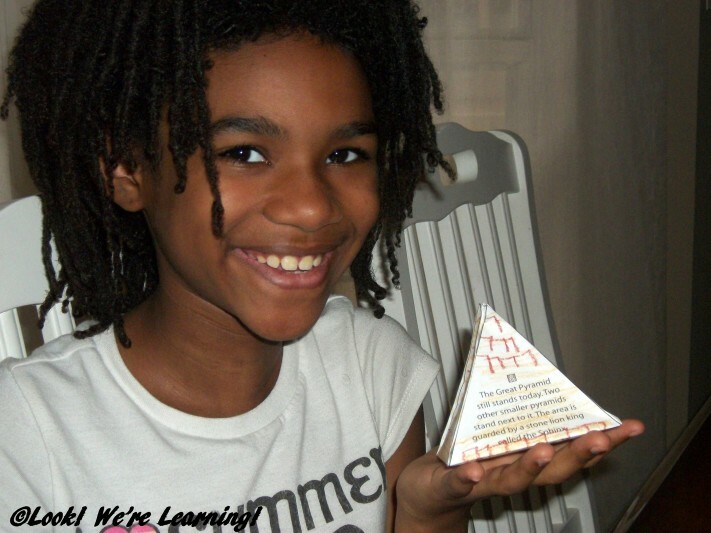 The kids made some miniature models of the Great Pyramid of Khufu out of paper. 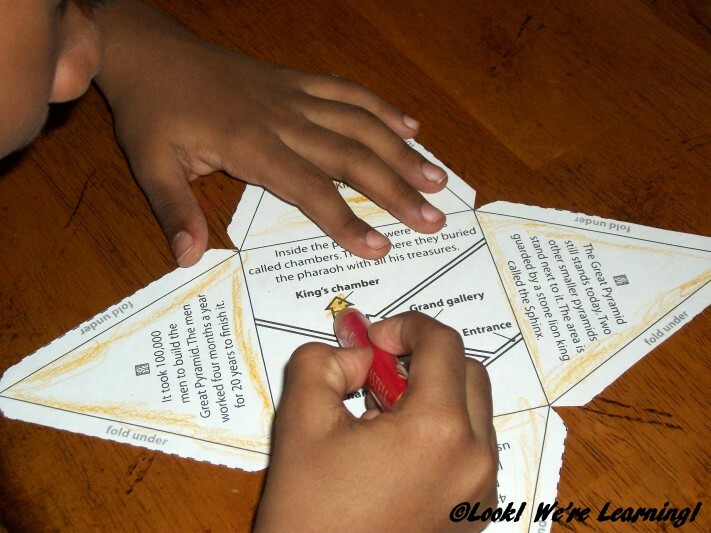 We got this activity from the book History Pockets: Ancient Civilizations. 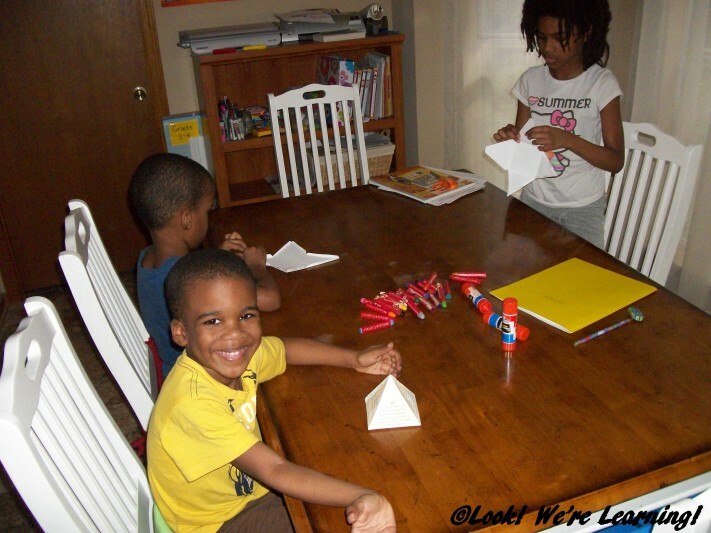 To make the pyramids, we simply cut out the paper shapes and then colored them. Then we folded them on the lines and added glue to make them stand up. As you can tell, this craft was a pretty big hit. We also learned about the first female Pharaoh, Hatshepsut. Tigger, in particular, was interested to find out about her. We picked up the book African Princess: The Amazing Lives of Africa’s Royal Women and read about her life and reign. She was truly an incredible woman and ruler. In many art pieces and statues, she is portrayed as a man with a beard. At the time, a female Pharaoh was unheard of and scholars think that the succeeding Pharaohs decided to show her as a man to hide her existence. But a few statues of her exist that show her as a woman. What Did Ancient Egyptians Look Like? 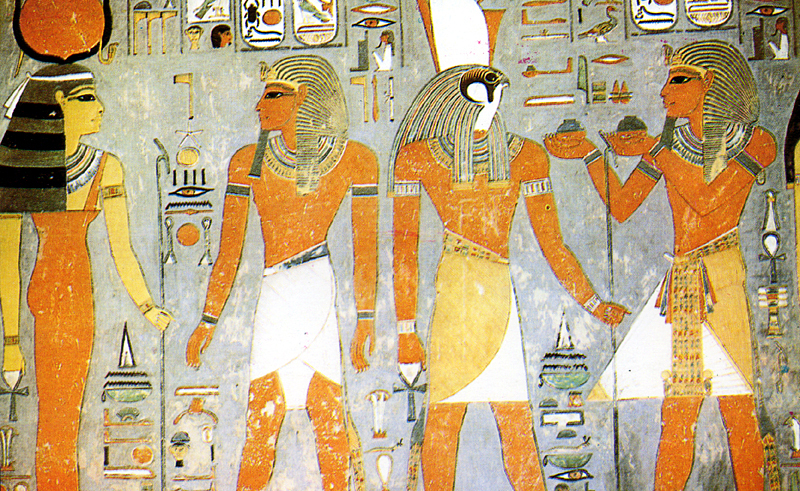 One of the things that has long irritated me about the images of ancient Egyptians in popular culture is that they are often portrayed as being very fair-skinned. I’ve personally seen a lot of children’s history resources use cartoons that show Egyptians as Caucasian people dressed in Middle Eastern attire. We began by marking the area covered by Ancient Egypt and we’ll be filling in the map with the other kingdoms we feature. Here are the books and resources we used for this lesson. PBS: Wonders of the African World – This website is based on a PBS series from the 1990s written and narrated by Dr. Henry Louis Gates, Jr. Sections cover Egypt, Nubia, and Swahili. Egypt (Enchantment of the World Series) Daily Life in Ancient and Modern Cairo (Cities Through Time) African Princess: The Amazing Lives of Africa’s Royal Women African Beginnings History Pockets: Ancient Civilizations (Grades 1-3) The Usborne Book of Living Long Ago: Everyday Life Through the Ages Don’t miss these other history posts! 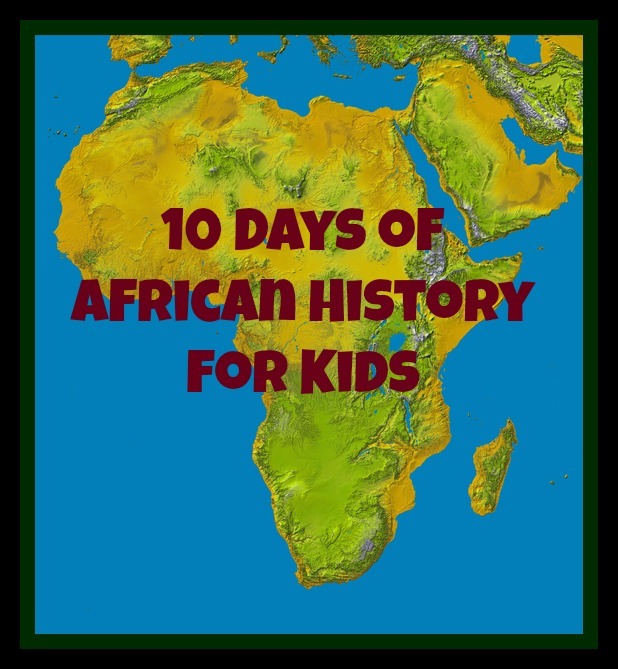 Be sure to check out the rest of our 10 Days of African History series! 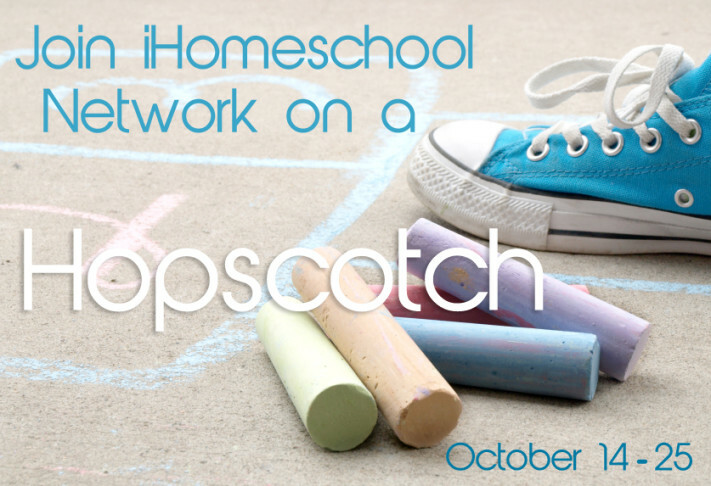 This post is part of the Autumn 2013 Hopscotch from iHomeschool Network! 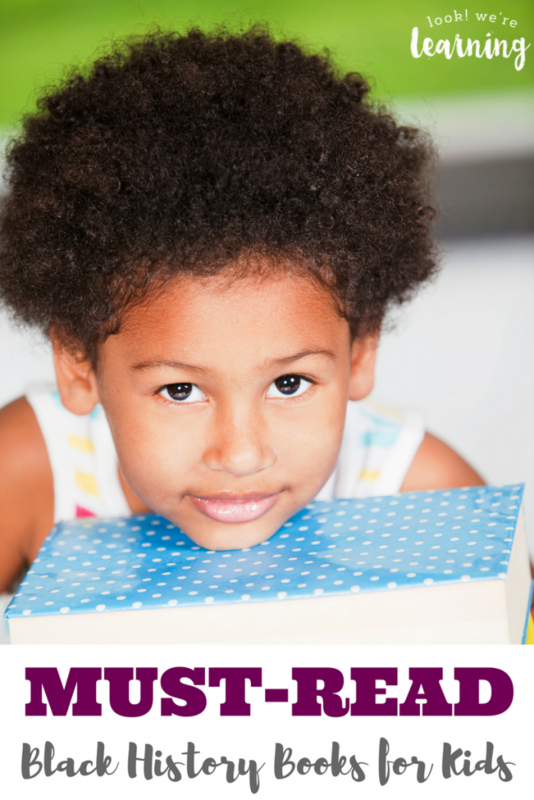 Click below to visit the Hopscotch posts from all of our fellow bloggers! 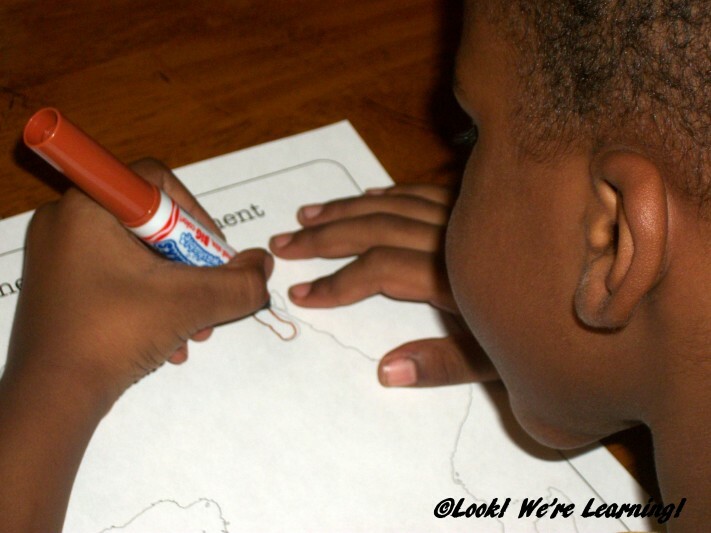 For more awesome history ideas, follow my Living History for Kids board on Pinterest! Fantastic, we are doing a lap book on this at the moment and I love the Pyramids they made, good geometry as well. We are going to make mummies today using that age old favourite – the tube from the middle of the loo roll. It was on a halloween blog. Basically they smother the tube in glue (mine are great at smothering things in glue) and then tear strips of white tissue paper to wrap around it and apply googly eyes. We are also going to have some little flat beads to glue in as we go to represent the jewels the rich people would have taken to their afterlife. I am going to talk about the mummification process while we do this. They look quite sweet on the internet, I am sure ours will look more rustic. 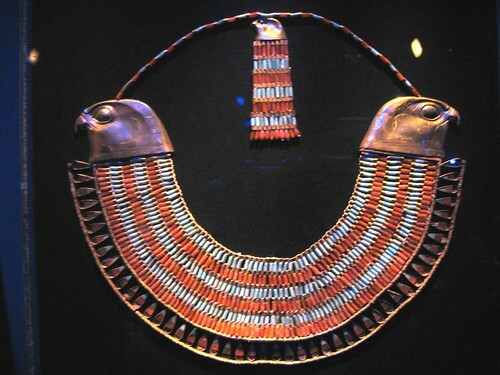 Egyptian noble woman were able to hold jobs and were treated with respect. We like that and the female Pharoahs. Lol! 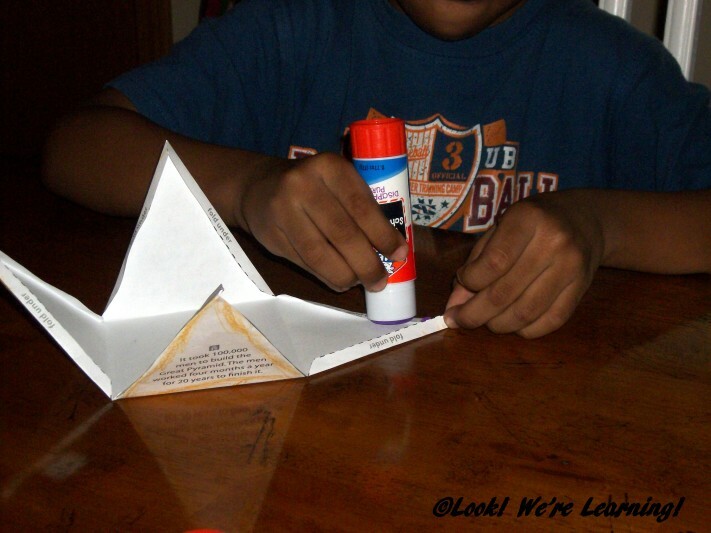 Our crafts always look “rustic” too! 🙂 Sounds like you’re having a great time!